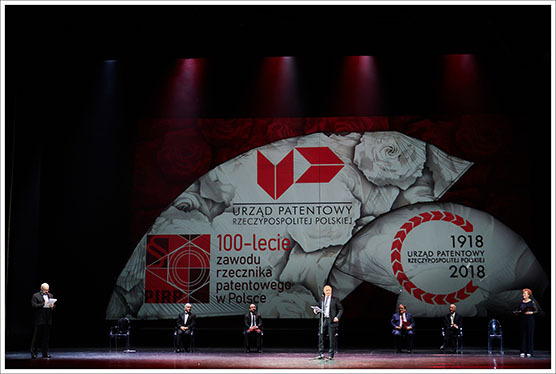 An event in Warsaw on 26 November to mark the 100th anniversary of the Polish Patent Office was attended by some 1 500 Polish and international guests. From right to left: President of the Polish Patent Office Alicja Adamczak, WIPO Director General Francis Gurry, Secretary of State in the Chancellery of the Polish President Andrzej Dera, EPO President Campinos, Deputy Speaker of the Polish Senate Adam Bielan, EUIPO Executive Director Christian Archambeau. A delegation from the European Patent Office led by EPO President António Campinos participated in the 100th anniversary of the establishment of the Patent Office of the Republic of Poland organised in Warsaw this week. Mr Campinos met with the Polish Minister of Entrepreneurship and Technology, Jadwiga Emilewicz, and the Secretary of State in the Chancellery of the President, Andrzej Dera. During the meetings both sides highlighted the importance of IP and patents for the economy and innovation, and the fruitful co-operation between the EPO and Poland. "On behalf of the EPO I would like to congratulate the Polish patent office on this landmark anniversary," Mr Campinos said. He added: "This is my first official visit to Poland as EPO President, a country that can look back at a long history of inventions and protecting intellectual property. We look forward to continuing our excellent co-operation aimed at supporting inventors, researchers and companies in Poland and beyond." The EPO President attended a number of events to mark the anniversary of the founding of the Polish patent office in December 1918, including a ceremony on Monday where some 75 Polish inventors, entrepreneurs companies and universities were honoured with a distinction from the Polish Prime Minister for their contributions to patenting and innovation. Poland has been a member of the European Patent Organisation since 2004. The EPO and Polish patent office are implementing a range of joint activities including professional training, qualification of professional representatives, strengthening of patent-related services to industry, patent awareness and improvement of patent information tools and services. For example, thanks to this collaboration, inventors and researchers anywhere can search in the EPO's free online database Espacenet for Polish patent documents, and translate patent texts from Polish into English and vice versa using the EPO's Patent Translate tool. Last year Polish inventors, companies and research institutions filed over 460 patent applications at the EPO, an increase of 14% over the previous year, and well above the EU average growth. During his visit to Warsaw, EPO President Campinos also participated in the 2018 DesignEuropa Awards ceremony. 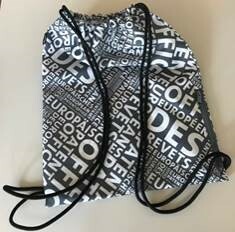 The Awards, for which the EPO President serves as a jury member, are organised by the European Union Intellectual Property Office to recognise companies and designers that have brought outstanding design to the market with the support and protection of Registered Community Design. This year's winners included the AirGo 2.0 bag drop system owned by Danish firm Marcus Pedersen ApS, and designed by Sara Clements (Small and Emerging Companies category), and the ARTIS pheno robotic C-arm angiography system from Siemens Healthcare, designed by Nadia Roth and Tobias Reese (Industry category). The Lifetime Achievement Award was presented to Hartmut Esslinger, a German designer known for his collaboration with Steve Jobs and Apple.